Cummins M-11 350/400 ESP Motor Recent Oil sample checks good.8LL, New Clutch, Flywheel and bell housing. Also New drivers seat bottom and an extra air ride Bostrom seat Oil pan replaced , Recent drive tires and front floats. NO ANTILOCK Brakes! 23 TON Asphalt box and tarp system. Cold A/C- recent service including compressor and evaporator. Recent radiator and u-joints replaced. This Truck works every day and there is work available to lease with current carrier. Health reasons force sale. FOR SALE. 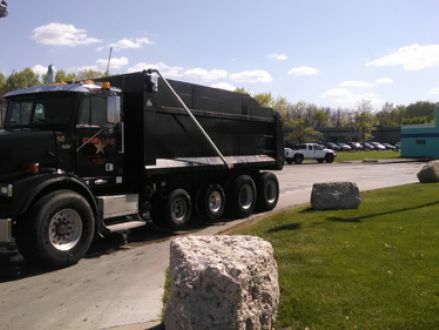 This is a Black 1998 FREIGHTLINER DUAL TRACTOR FLD 112SD with Black interior, Manual transmission, Rear-Wheel Drive, and a 6-Cyl. engine. It's in Good condition, with 738,000 miles, and located in Brookfield, WI.